Netra is an eye for visually impaired, a device based on Echolocation principle. 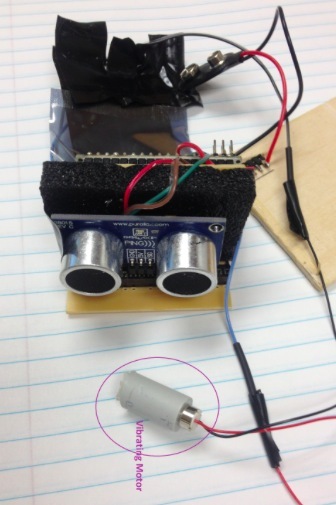 It uses Arduino Micro, Ultrasonic sensor and vibrating motor. Vibration of the motor increases with decrease in distance and vibration decreases with increase in distance between device and object in front. 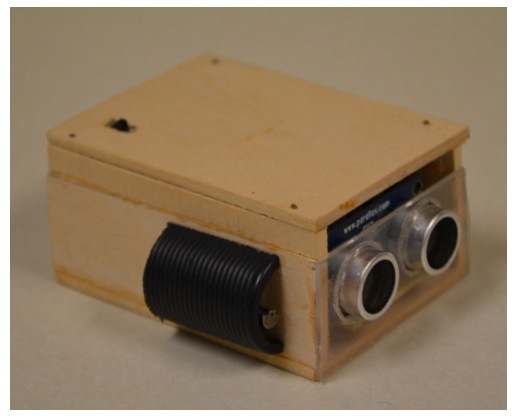 Build this device for people suffering from Retinitis Pigmentosa Disorder. Take a look at the schematic and the code on his website. could i get the details?